After a break for last month's Holiday Gift Guide, Wendy's Favorite Things is back! To kick off the new year, this month's Great Eight is featuring some fantastic items that food lovers are sure to love. So...let's get started!! 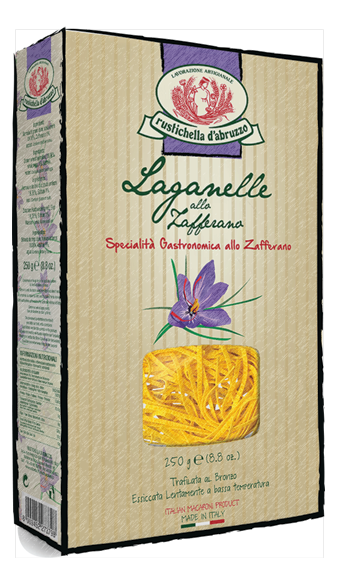 (1) Rustichella d'Abruzzo Laganelle with Saffron. My go-to pasta is Rustichella d'Abruzzo. Their pasta is made in Italy, and it cooks perfectly every time! I recently tried their saffron flavored laganelle egg pasta, and I was floored by its flavor. The pasta is made with eggs and semonlina flour utilizing traditional pasta making methods. Then, it is sheet extruded through bronze -- which results in a slightly textured surface. This slight roughness makes this pasta ideal for absorbing flavorful sauces. The addition of pure saffron gives this tender egg pasta a gorgeous yellow color, along with the exotic taste and aroma of saffron. This pasta cooks quickly too -- in about 5 minutes! I like to serve this saffron-infused pasta topped with lemony garlic shrimp scampi. The flavors work absolutely perfect together, resulting in a restaurant-quality meal for a fraction of the cost. Rustichella d'Abruzzo pasta is imported from Italy and is available via specialty grocers in the U.S. My Texas readers can purchase this pasta at Central Market. It can also be purchased via Amazon. 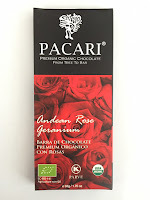 (2) Pacari Andean Rose Organic Chocolate. 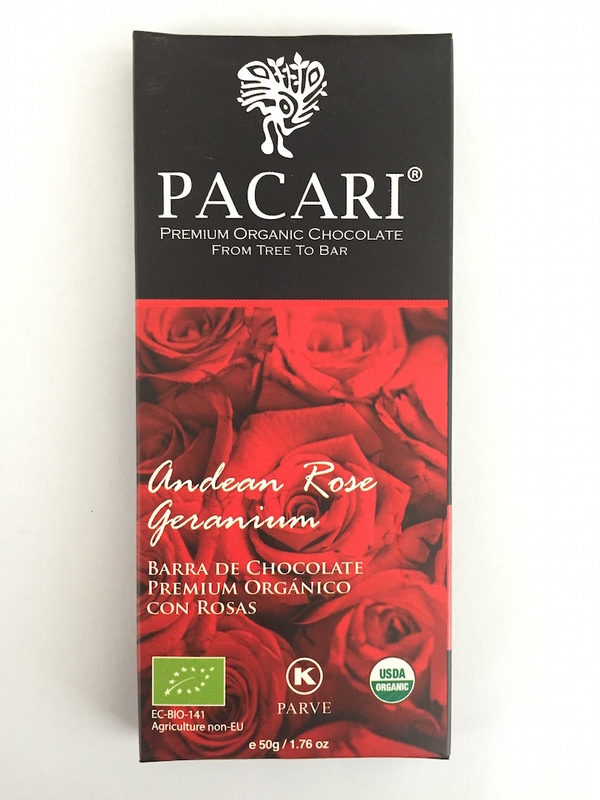 Valentine's Day is just around the corner, so I had to include Pacari's organic Andean Rose chocolate in this month's column! Pacari is single-origin 100% Ecuadoran chocolate that is both biodynamic and organic. Simply put: it's chocolate that you can feel good about eating. I've tasted several varieties of Pacari, and each has a fabulous depth of flavor. The Andean Rose is no exception. The first thing you notice when you taste the chocolate is the deep, rich chocolate undertones. Then, as the chocolate starts to melt in your mouth, you notice the aroma of roses. It's a luxurious experience, perfect for pairing with wine for a romantic Valentine's celebration. Pacari chocolate products can be purchased online or at select U.S. retailers -- including Whole Foods and Central Market. 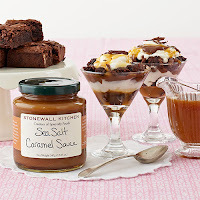 (3) Stonewall Kitchen Sea Salt Caramel Sauce. Stonewall Kitchen produces a line of delicious sweet and savory condiments, sauces, and baking mixes. They save me time in the kitchen, and they taste fabulous! My current favorite item in their collection is the addictive Sea Salt Caramel Sauce. This jarred sauce is ready to use and adds a pop of salty-sweet caramel flavor to a wide range of dishes. Spoon it over ice cream and add some chopped pecans for a quick dessert. It's also great spooned into a little dish and served alongside apple slices for dipping. I've also heard that it's perfect straight from the jar with a tablespoon...not that I know from experience. I always have a jar of this amazing, versatile dessert sauce in my cupboard! It can be purchased at the Stonewall Kitchen website and retail stores nationwide. (4) Sheet Pan Paleo Cookbook. If you're someone who adheres to the protein-centric paleo eating plan -- and even if you're like me and don't specifically eat paleo -- Sheet Pan Paleo needs to be in your cookbook collection! This cookbook features 200 recipes that are cooked on a sheet pan and feature simple prep. All you have to do is toss all of your dinner ingredients on a pan...then roast, bake or broil. One pan also means less cleanup after dinner! Recipes focus on healthy protein, fresh veggies, and spices. All recipes are also naturally gluten- and dairy-free. Some of the recipes that quickly caught my eye include Roasted Cauliflower with Pine Nuts and Raisins and Citrus and Herb Marinated Pork Shoulder. 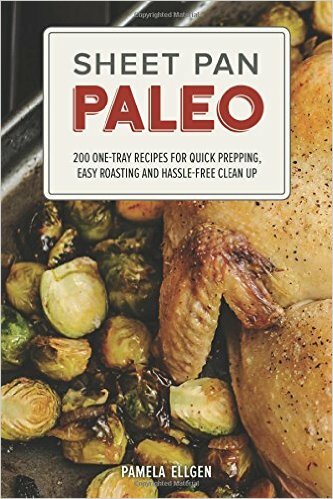 Sheet Pan Paleo can be purchased directly using several options through publisher Ulysses Press. 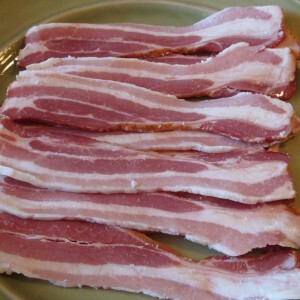 (5) Circle B Ranch Uncured Bacon. If you're a bacon lover, you simply must try the yummy uncured bacon from Missouri's Circle B Ranch. Their nitrite-free bacon is made from antibiotic- and hormone-free Berkshire pork belly. The fat to lean ratio of this bacon is perfect, and it cooks up perfectly crisp every time. If you've never tried Berkshire pork, it's an heirloom pork variety that's known for its superior flavor. It's my favorite kind of pork, and this bacon is superb. It's great for breakfast with scrambled eggs and biscuits, but it also makes the best BLT that I've ever tasted! Circle B Ranch's uncured bacon can be purchased directly from their website and shipped anywhere in the U.S.
(6) CardNinja Cell Phone Wallet. CardNinja is not technically a food or kitchen item, but it's so awesome that I'm sharing it with you anyway! Being a food blogger means I'm on-the-go a lot -- traveling and visiting restaurants. 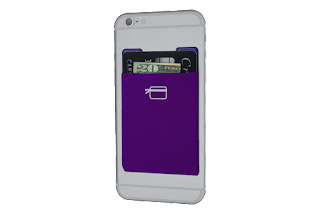 CardNinja lets me take the essentials when I'm out and about -- no need for a bulky wallet. 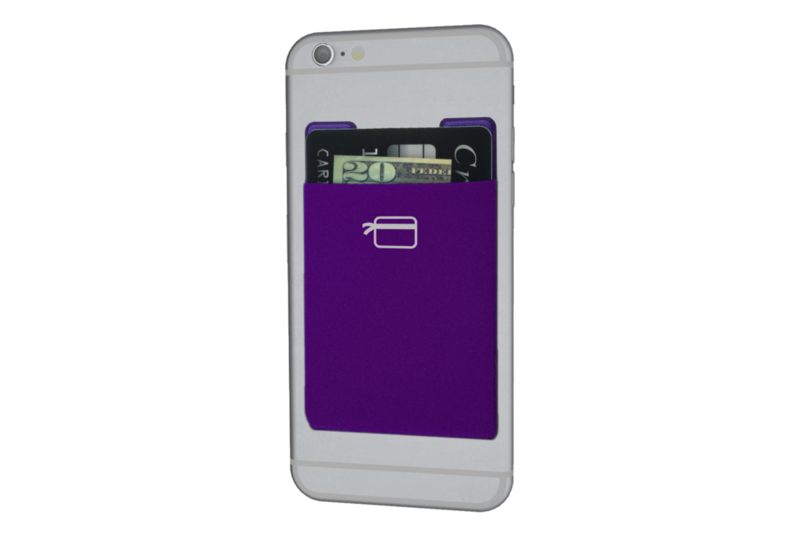 This ultra-slim, stretchy "wallet" adheres to the back of your Android or Apple phone and is the perfect size for is made for taking a couple of credit cards, your driver's license, and a bit of cash. I absolutely love the convenience of my CardNinja! Every day when I go to lunch, I add my debit card, license, and maybe a bit of cash...and leave my big purse in the office. CardNinja comes in a variety of colors and designs, and it can be purchased via their website. It's also available at many major U.S. retailers. 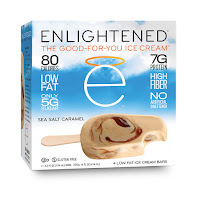 (7) Enlightened Ice Cream Bars. 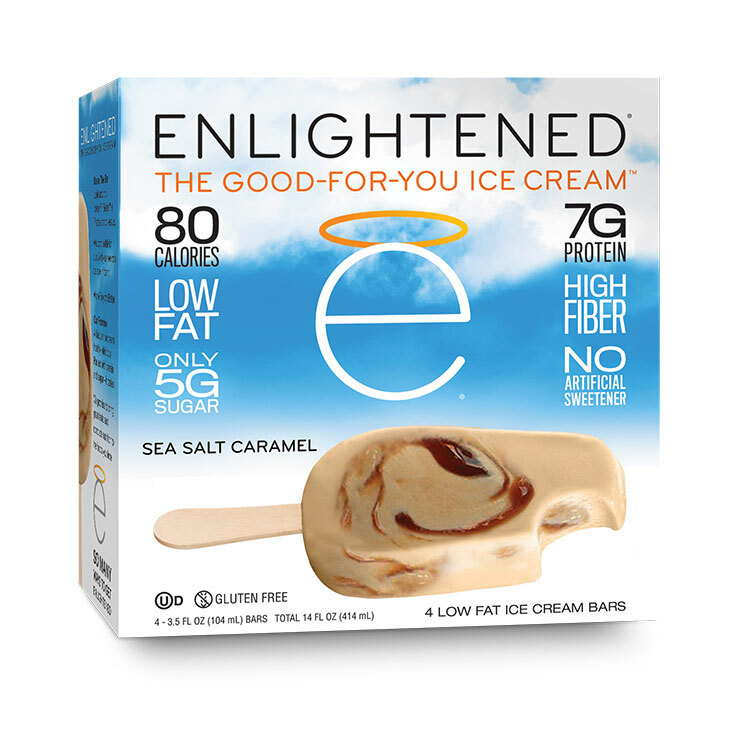 If you're looking for an ice cream bar that's big on flavor -- but light on calories -- then you have to try Enlightened Ice Cream Bars! These ice cream treats come in a wide range of fun flavors like Mint Fudge Swirl, Chocolate Peanut Butter Swirl, and Sea Salt Caramel. The flavor is decadent, but you don't have to feel guilty eating them. That's because every bar is 100 calories or less. Really. Each bar is low in fat and sugar, and they even have a bit of added fiber. I always have a box or two of these guiltless treats in my freezer -- my personal favorite is the decadent Sea Salt Caramel, with its gooey caramel swirl. To find Enlightened Ice Cream Bars near you, simply visit their convenient online store locator. (8) SOCIAL Sake Wine. 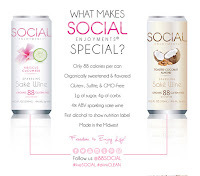 SOCIAL Sake Wine is a fun and delicious adult beverage that's organic, low in calories, and gluten free. 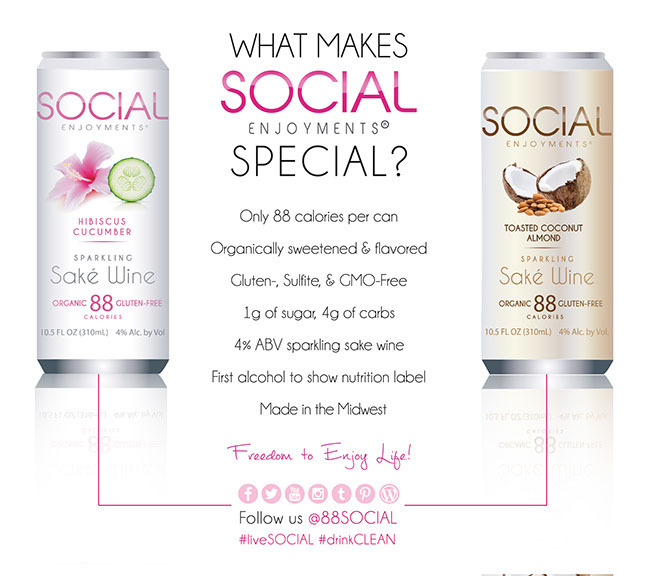 Each can of SOCIAL sake wine contains just 88 calories and 1 gram of sugar. It comes in two fun flavors, too: Hibiscus Cucumber and Toasted Coconut Almond. I especially enjoyed the refreshing, slightly tart Hibiscus Cucumber flavor. It went very nicely with a dinner salad topped with grilled shrimp and feta cheese. SOCIAL comes in a 4-pack, making it great for sharing if you have a party. Simply chill and enjoy! SOCIAL can be found at many nationwide retailers, including Whole Foods and Target. Visit their store locator to find a store that carries SOCIAL sake wine near you. Having Trouble STICKING with the Paleo Diet? Want to munch on healthy delicious recipes as soon as TONIGHT?